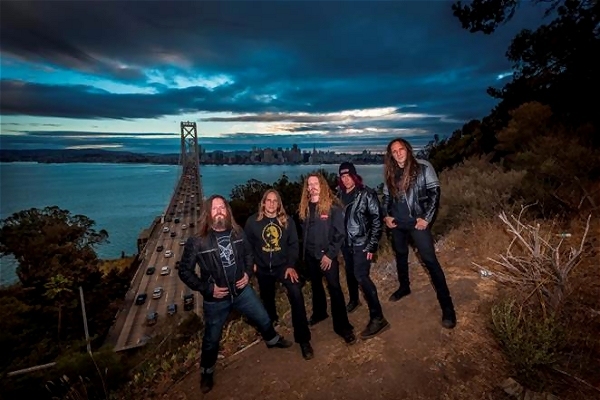 Bay Area thrash titans EXODUS are gearing up to thrash your face off on their upcoming tour with headliners Slayer and fellow special guests Suicidal Tendencies. If you have not purchased your tickets for your local tour stop yet, act quickly – several dates are close to selling out, including Oakland 11/12, Los Angeles 11/14, and New Jersey 11/29, which are already completely sold out. Get your tickets via the official EXODUS Facebook page now! Due to the overwhelmingly demand, EXODUS VIP Experience packages are available for the entire tour via SLOtix.com. All EXODUS VIP Experience attendees will be included in a giveaway for either an autographed Gary Holt signature guitar or an EXODUS guitar. At the end of the tour, Gary Holt will personally call the winner himself to announce that they’ve won. See below for all current tour dates, including EXODUS one-off dates this month and next!